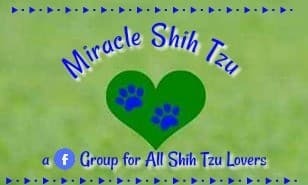 Caring about Shih Tzu ears is a three step process that does not need to be time consuming, but can reap benefits to your dog. The normal ear canal in the Shih Tzu dog is clean, odor free and the color of a light skinned person. Not all Shih Tzu dogs are prone to problems, but when they become chronic, it can be miserable for the dog as well as expensive to you. The warm moist environment inside your Shih Tzu's ear creates a great place for bacteria to grow as well as ear mites, both conditions lead to infections. Add an over abundance of ear wax and hair and you have a fertile environment to create a nasty, smelly mess. The good news is that is preventable with a little help from you. Cleaning out ears may not be your ideal choice for evening fun, but you can save $$$ and your poor Shih Tzu, by learning a few tricks that will keep those ears clean, smelling fresh, and free of any infection. Hair grows continually in the ear canal of the Shih Tzu Dog. This is not unique to the Shih Tzu , but if hair is allowed to grow, it will combine with the wax already found in the ear causing problems. Ear infections are one of the top reasons that people end up taking their dog to the vet. You will know your dog is having difficult with his ear because he will shake his head, scratch at his ears and rub his head on the floor or other objects. Shih Tzu dogs that suffer from allergies often have problems with their ears. Ear mites are tiny little white parasites that live in the ear canal can cause intense itching and head shaking. You won't see them, but your veterinarian can detect them using an otoscope. All of these nasty problems can be preventing by cleaning his ears periodically. Caring About Shih Tzu Ears Involves Three Steps. Wiping out excess wax and dirt using a cotton ball dipped in ear cleaner, wipes specifically designed to clean ears, or a few drops of plain mineral oil. 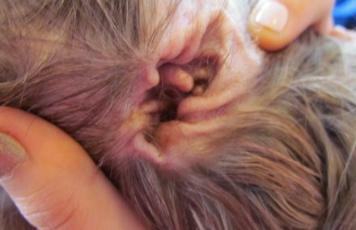 Removing excessive hair inside the canal if your breed continues to grow hair inside his ears. Or, if you are having problems with ear wax build up, this product works well. Or Pro Ear which is very easy to use and does a great job. Curved hemostat (optional) or tweezers (You can purchase straight hemostats but the curved ones work better. Before you begin to clean the ear, observe the interior of the ear. Look for redness, swelling, or the presence of little specs of what appear to be coarse black pepper. Smell the ear canal. Does it have an odor? Any of these signs should alert you to a possible infection or ear mite infestation. Stop and call to make a veterinary appointment. If everything appears normal, proceed to clean the ear and remove any ear hairs. When you are cleaning your Shih Tzu’s ears, notice if there is any debris that resembles coffee grinds. If so, you might be dealing with ear mites. Many people when they think about Shih Tzu ears, they think ear mites. Not all problems are caused by ear mites, but it is a good idea to rule them out. 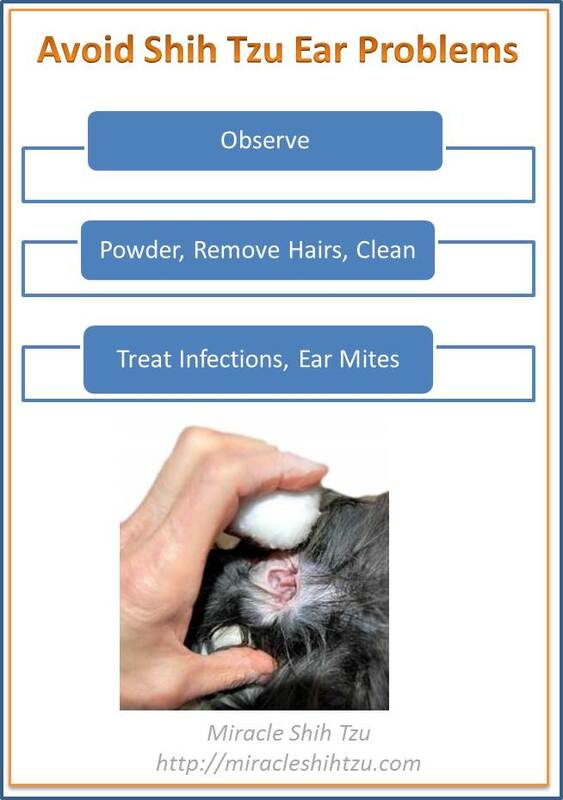 Learn more about ear mites here. One last thing about Shih Tzu ears that you may not know is that allergies and ear problems often occur simultaneously. Chronic ear infections may be a sign your Tzu has other types of allergies. Shih Tzu allergies are caused by several different things. Caring about Shih Tzu ears, means cleaning!! To clean an ear, use a cotton ball, cotton tipped applicator or ear wipe and gently wipe out each ear using a different wipe or cotton ball for each ear. For very dirty ears, you will need to use several until the wipes come out clean. If using an ear cleaner, place the recommended number of drops in each ear and gently massage the base of the ear. The dog is likely to shake his head and spray you with excess cleaning, so be prepared. Allow the dog to shake as this helps loosen the debris. Wipe dry using small cotton balls and cotton tipped applicators. Never go any deeper than you can see with an applicator. You will want to remove the hair inside your Shih Tzu’s ear periodically to prevent ear infections. Ear wax, ear hairs, moisture from swimming or bathing, and any other debris creates a fertile ground for an infection to brew. Most ear infections are caused by yeast or bacteria and anything that gets trapped in the canal is likely to remain. 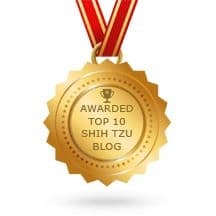 When you think about Shih Tzu ears, its not hard to imagine how infections can happen quickly. The anatomy of a Shih Tzu’s ear canal creates an environment where any debris or water gets trapped making it very difficult to get out on its own. Dogs that have ears that hang down are most susceptible to infections, especially those whose hair continues to grow and weigh the ear down. This is true of Shih Tzu, but also Poodles, Cockers, and other small breed dogs. To remove hair from the canal is a little trickier. Some dogs do not mind at all and others will squirm and wiggle. This procedure is uncomfortable but not painful. I like to compare it to plucking eyebrows, if you have ever done this. First, sprinkle a few drops of an ear powder into the ear and spread it around if necessary to coat the ear hairs. The easiest way is to grab a few hairs with your thumb and forefinger and gently pull out. Repeat until the ear canal is free of hair. Sometimes, it is impossible to get the hair with your fingers and that is where a pair of tweezers or hemostat comes in handy. I prefer hemostats as you can grab hold, clamp down onto the hair, and gently pull. Tweezers work the same way. Be very cautious as you do this, as it is very easy to catch a piece of skin between your tweezers or hemostats. If your dog has recurring ear infections, your vet may recommend testing him for allergies and/or using an anti-fungal ear cleaner. Keep the Shih Tzu’s ears dry during and after baths. You can use a small wad of cotton in your Shih Tzu’s ear during a bath and dry thoroughly after the bath. 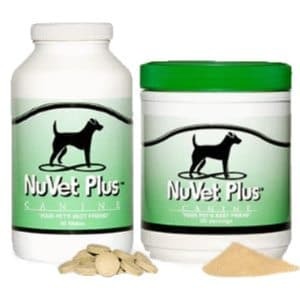 If your dog has chronic ear problems, ask your vet to prescribe a drying agent. I own a six year old Shih Tzu, had him since he was 8 weeks old, and he has had an ongoing issue with his right ear generating an over-abundance of ear wax. I have taken him to the vet, and it is not an infection, rather wax buildup. I have had him on good food, grain free, for over 4 years, I do not let him have any corn in his treats, etc. and do not feel him table scraps or human food other than the occasional piece of meat, etc. My groomer has suggested a product called Micro-tek, made by Eqyss, a spray, that can be used to flush out and clean their ears, which I have been using about once a week, but last night discovered a large ball of wax protruding from his ear. I didn't know until watching your video that you can pull out their ear hair so easily, so maybe I need to begin doing that once a week or so. Do you have any solutions or experience with a dog producing so much ear wax? 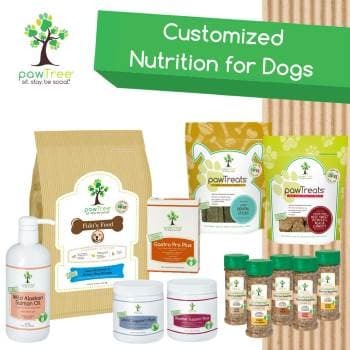 Any dog that has drop down ears can be prone to ear problems, but it sounds like you are doing all the right things when it comes to diet and cleaning. Some dogs just seem to produce more ear wax than others and I suspect the reason has a genetic component. I've always used cleaning solutions prescribed by my vet so I'm not 100% comfortable recommending one product over another. I do know that you should pick one that has a drying component to help with the ear wax. Also, how often do you bathe your dog? Sometimes we can "over-bathe" them. Frequent bathing especially when water gets into the ear can cause problems. When you do bathe your dog, think about Shih Tzu ears and place a small piece of cotton inside the ear so no water can enter. Removing all the hair inside the ear will also help because a clean ear canal will allow air to circulate easier and prevent infection from setting in. When you remove the little hairs, use an ear powder first to help you grab and remove them easily. Then, use your ear cleaning solution to thoroughly clean out the ear. Most dogs will shake their head when you put the solution into their ear, but that is OK because it helps remove some of the debris. Hope this helps. Let me know if you have any other questions.